Hayashi Daiko ranges in size from "2 cho gake" (smallest) to "5 cho gake" (largest). 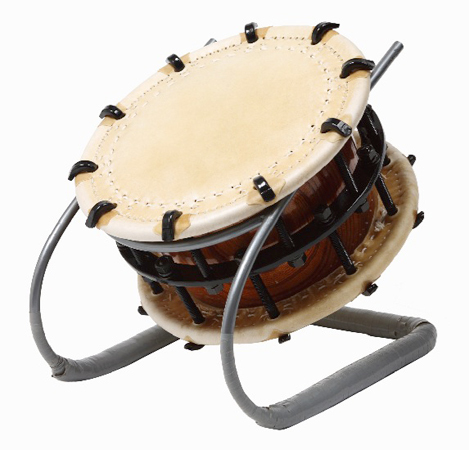 Larger drums have heads constructed of larger and thicker iron rings and thicker leather. 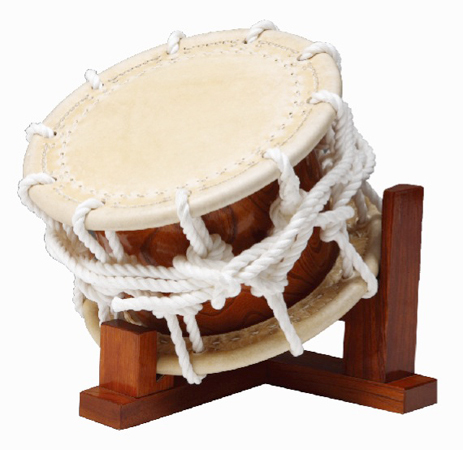 With its outstandly high pitch, Hayashi Daiko has contributed greatly to expanding the repertoire of ensemble performances, and can be considered an essential member of a wadaiko ensemble. The Hayashi Daiko does have its downside however. In order to maintain its condition, the tension on its headsmust be loosened when not in use, thereby requiring the instrument to be tuned before each performance. For larger sizes such as 4 cho gake and 5 cho gake, tightening the ropes is no easy task, especially for an amateur performer. For this reason, bolts are often used in place of ropes. 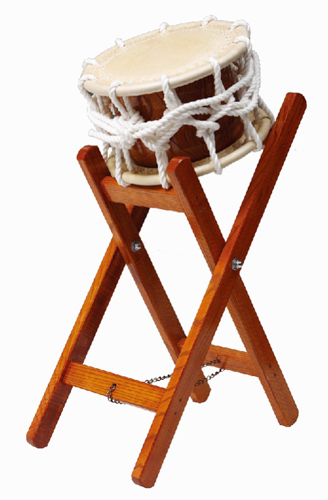 However, as the act of "tightening" and "tying" a rope has significance in the Japanese culture, we would like to suggest that you master these skills on a roped Hayashi Daiko.